Newaita icon theme port for Sailfish OS. To use with the Theme pack support for Sailfish OS engine from fravaccaro 's repo. The author of the icons got in touch with me and provided a new "Phone" icons, 3 personalised icons for sailfish OS (Storeman, SMS and GPSInfo), a dynclock and dyncal design. A big thank to him. For the dynamic clock, you need to install DynClock dynamic clock icon package. For the dynamic calendar, you need to install DynCal dynamic calendar icon package. 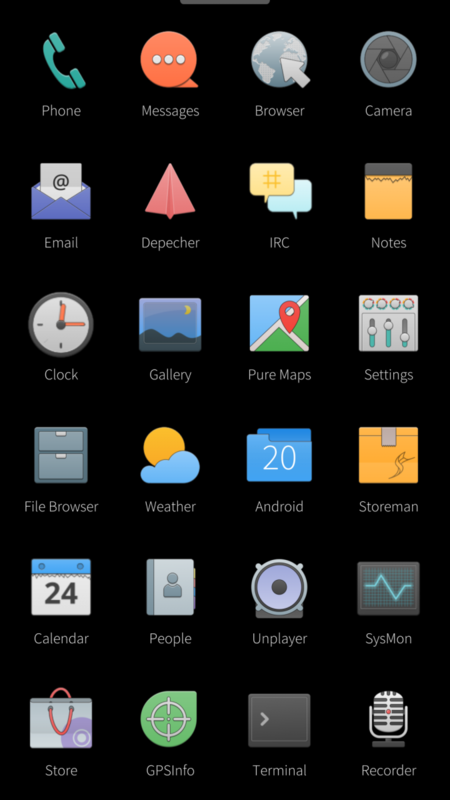 You may be interested in the UI Themer app to install it with more simplicity. - Ajusting folder icons. Adding dynclock. Thanks to the author. And yep it wasn't a sailfishOS theme to begin with. It's first an opendesktop icon theme.